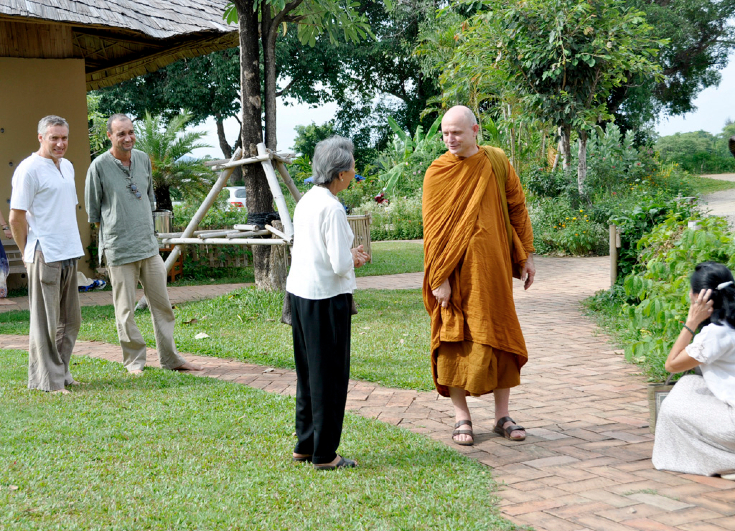 Panyaden School is honoured that our spiritual advisor, Venerable Ajahn Jayasaro was able to visit us in Chiang Mai last week. 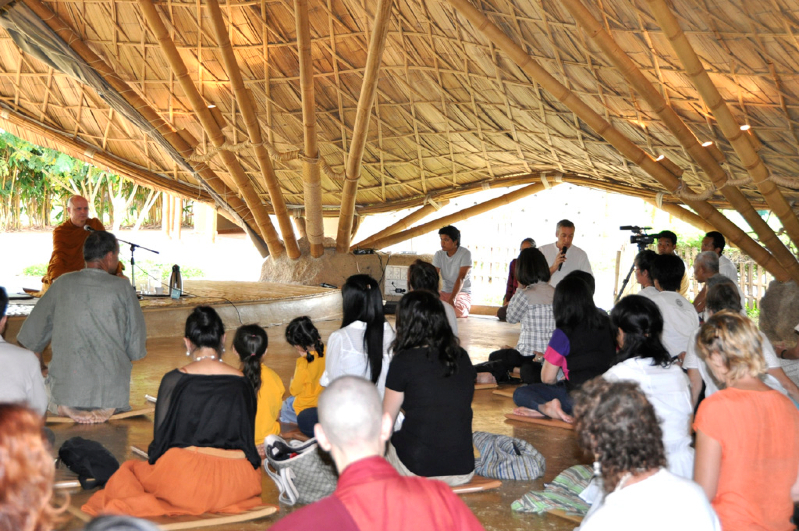 On 12 July, he gave a public Dhamma talk about the 4 kinds of development that form the foundation of a holistic education and the flourishing of a well-rounded person. Ven. 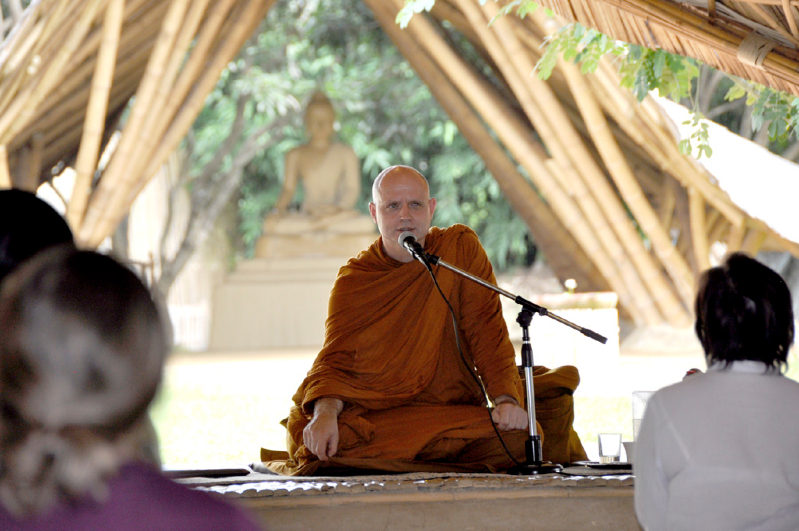 Ajahn Jayasaro spoke fluently in both Thai and English about these 4 areas, which encompass both our external and internal spheres of development. The first and second spheres concern our physical and social relationships starting from how we can learn to treat our bodies wisely (such as eating a balanced nutrition, getting adequate rest and the like) to how we can relate constructively to the material world of money and possessions, to our families, colleagues, friends and the wider community. 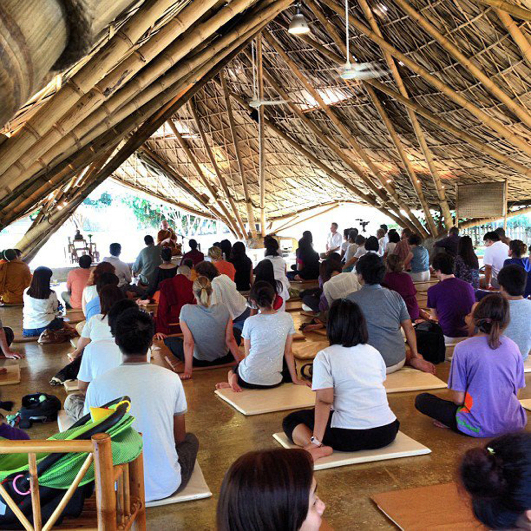 The third and fourth spheres are internal, concerning the education of the heart/emotions and of wisdom (panya). He went on to explain how the application of the 12 wise virtues that are part of the education system at Panyaden, can help towards the constructive development of all these 4 areas. These habits provide a compass and refuge in our daily lives. Their practice can help towards creating a wholesome, bright, positive and kind person who lives a wise and well-balanced life. This entry was posted in Featured Posts, Others and tagged chiang mai, education system at Panyaden, Panyaden School, public Dhamma talk, Thai and English, Venerable Ajahn Jayasaro.